Vitamin C is essential for our health, green acerola contains at levels 20 times higher than the orange. Acerola is harvested while still green; This is indeed the time that vitamin C content is highest when the fruit is not yet ripe. Beyond this, the acerola cherry contains a wealth of bioactive substances, vitamins (provitamin A, B1, B2, B5) and minerals (magnesium, phosphorus, calcium). The acerola strengthens the immune system, vitamin C plays an important antimicrobial role. 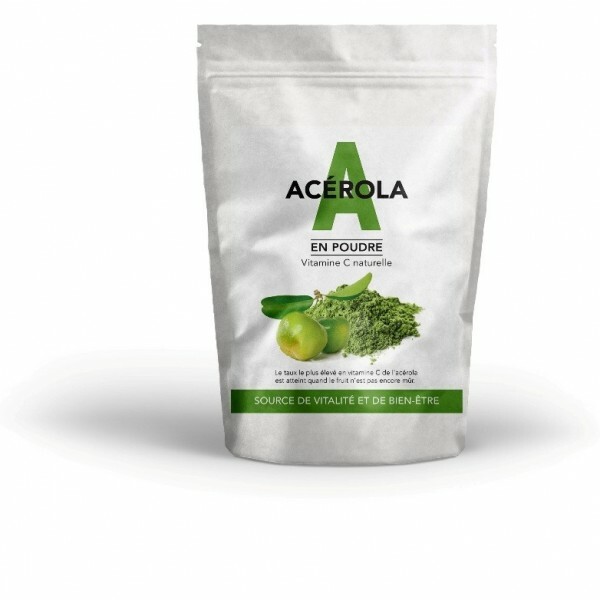 Acerola promotes metabolism of iron, vitamin C is essential for the absorption of iron. The high concentration of flavonoids and anthocyanins are as acerola is also used for its antioxidant properties. In case of fatigue, intense physical effort or review.One tablespoon daily coffee (about 5g) will do you good.